Since their existence in 2015 has The Hermitage Quartet been the resident quartet of the Peter de Grote Festival in Groningen. 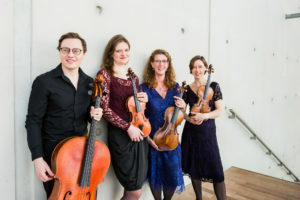 Outside of the annual Peter de Grote Festival, the quartet has performed in the Hermitage Museum in Amsterdam and in the Emmy Verhey festival, as well as in various halls through The Netherlands. The Quartet hosts every year their own chamber music weekend in Peize since april 2017, Groningen. Duo LeCoultre&VanHees consists of violinist/violist Floor Le Coultre (Groningen, 1990) and guitarist Martin van Hees (Groningen, 1990). They met at the Royal Conservatory in The Hague where they both excelled in their studies. Martin graduated his Masterstudies with distinction. He was a soloist with the Atheneum Kamer Orkest and won many prices at national and international guitar competitions. He played solo concerts in India, Thailand, Greece and Western-Europe. Since 2014 duo LeCoultre&VanHees performs in different chamber music festivals such as the Grachtenfestival in Amsterdam and the International Chamber Music Festival Schiermonnikoog. Violinists Tim Brackman en Floor Le Coultre met in an early age at the Academy for Musical Talent (AMT). Both studied with Joyce Tan and Ilona Sie Dhian Ho. After performing many times together in different chamber music ensembles, they discovered the repertoire for two violins and violin/viola. The repertoire is very comprehensive. From Bach, Telemann, Spohr to Bartok, Ysaye and Prokofiev. Tim Brackman, price winner of a.o. 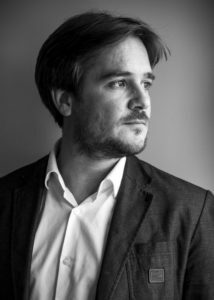 Oscar Back violin competition, is currently a Masterstudent of Vera Beths in The Hague and a member of the Brackman Trio and the Animato Quartet. 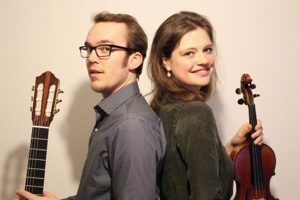 Pianist Maarten den Hengst and violinist Floor Le Coultre perform together since spring 2017. They met as soloists in the Triple concerto by Beethoven. 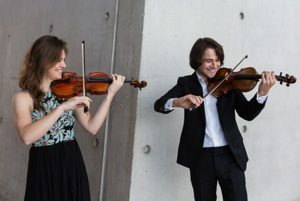 They connect their strength in the comprehensive repertoire for violin and piano.